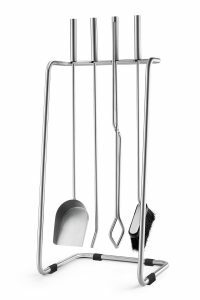 What Makes a Good Fireplace Poker Set? 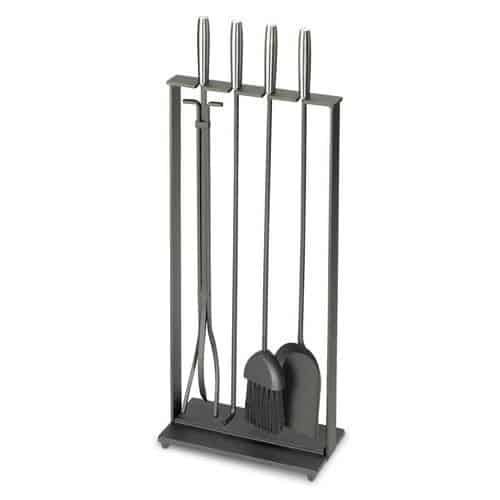 A fireplace poker set is essential for homes with a fireplace. It is necessary to keep the fireplace safe and secure. 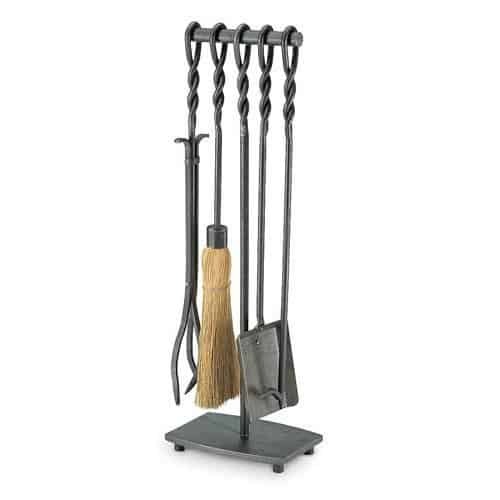 There are different types of fireplace tools. 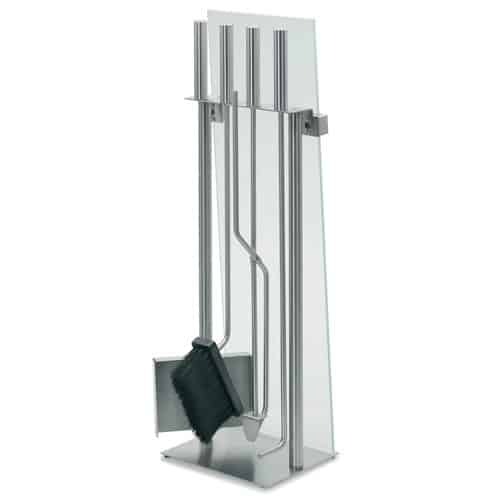 They are also made of different materials that homeowners can choose from. 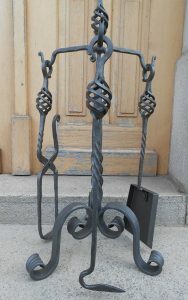 I personally prefer wrought iron fireplace poker sets. They are usually of high quality. They not only add beauty to the room but they are also the most reliable. 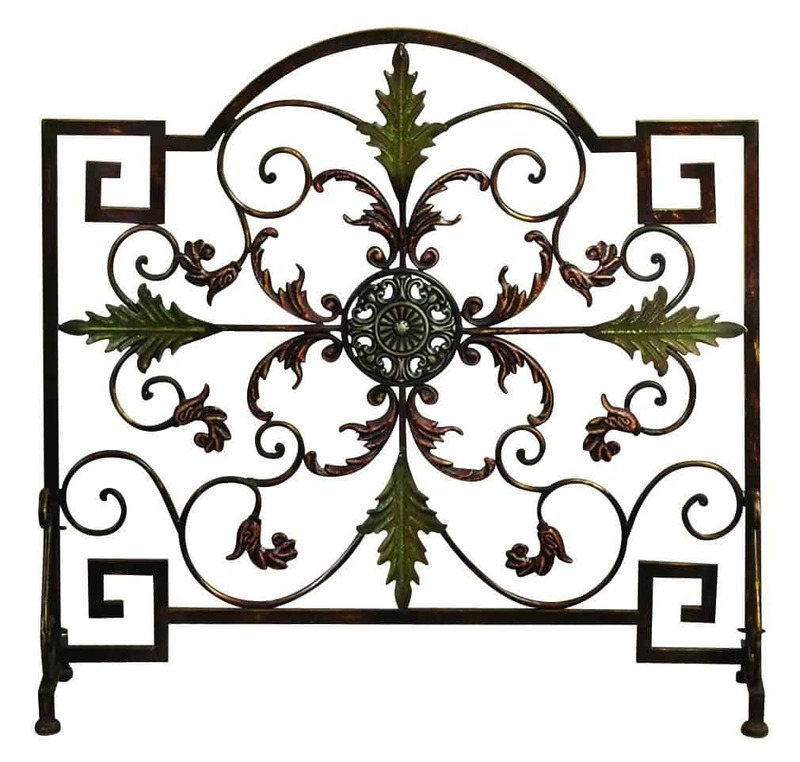 But not all homes have interiors that go well with the wrought iron material. Although you should consider the aesthetic appeal of the poker set, the most important thing is that it is able to do its main job: keep the area safe. Each item in the poker set should be resistant to heat. Since I have a fear of getting burned, I bought a poker set that lets me manage the fire from a safe distance. It is also important for me that the tools can help me keep the fire from burning out too soon. The poker is the number one fireplace tool for me. It lets me poke the burning wood so that the fire keeps going for a long time. The poker lets me arrange the logs in a way that the oxygen flows freely. 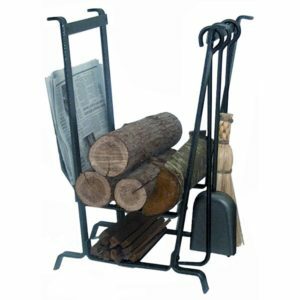 How do you grab burning logs and move them around safely? Sometimes the fireplace poker isn’t enough to do the job of moving the logs around. This is when I find the log tongs handy. 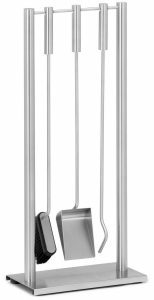 A good fireplace tool set should come with a shovel. It is necessary for handling the pile of left-over ash in the fireplace. 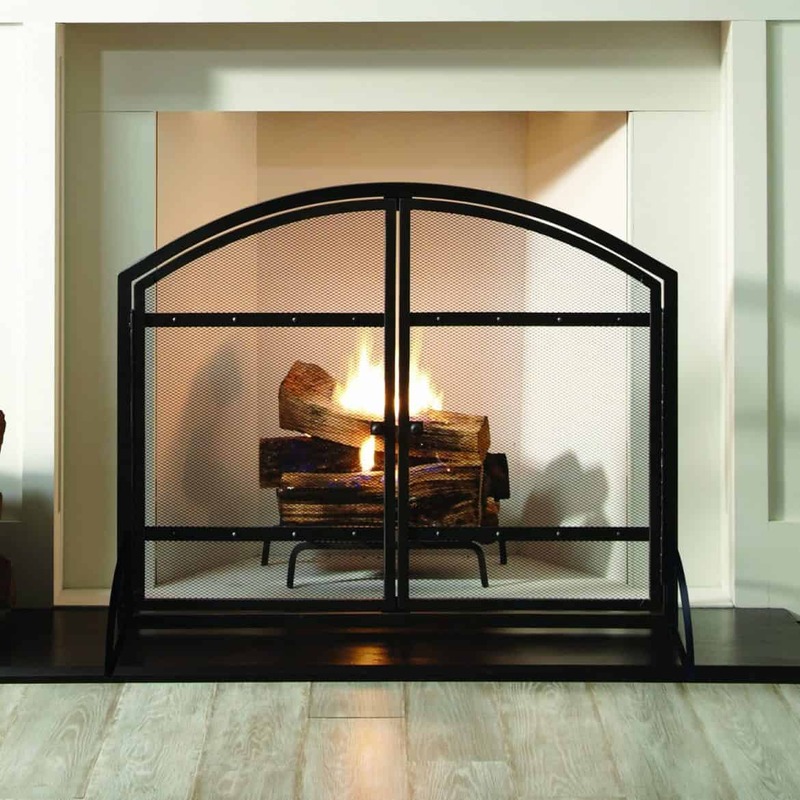 Ashes in the fireplace can remain hot even after a while so it is necessary to keep a shovelarm’sarms length for those times when the fireplace needs some quick cleaning. 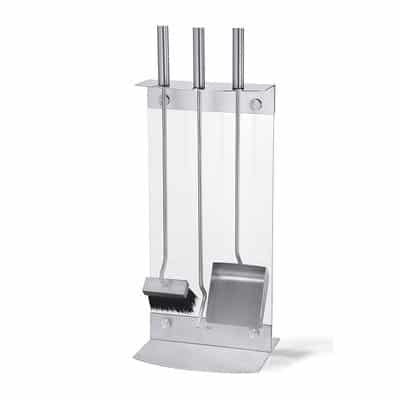 There are many other tools that might prove useful in a fireplace. However, these three tools are my essentials. 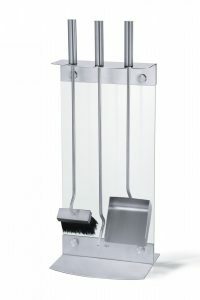 I would also keep a broom and an ash bucket for proper cleaning but I can do without them. 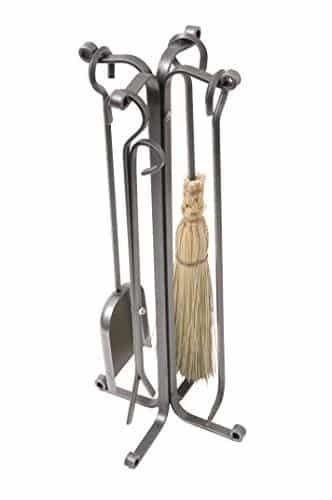 What I also require is a stand where I can properly store my fireplace poker set. I don’t want these tools to just lying anywhere in the room. I need to have them in one place where I can easily grab them. 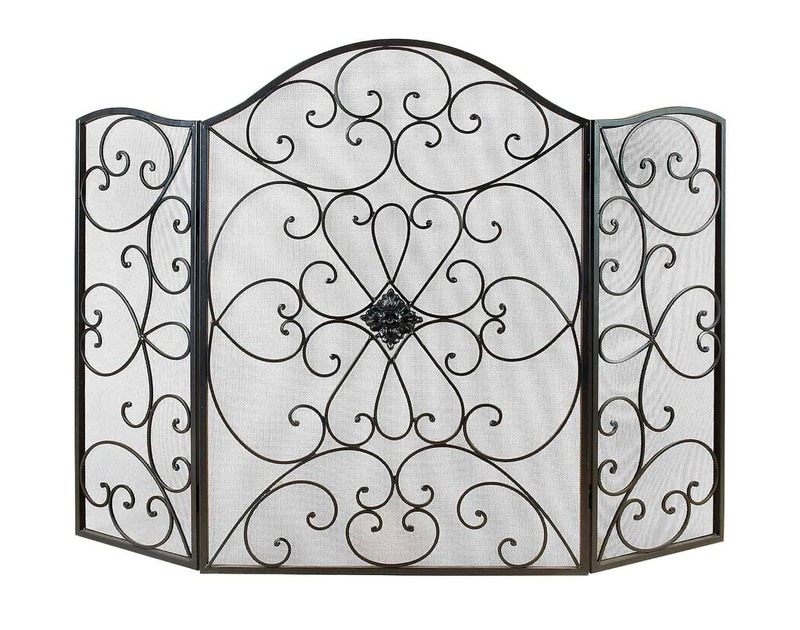 Decorative fireplace screens have the advantage of both creating beauty and adding security to your fireplace. 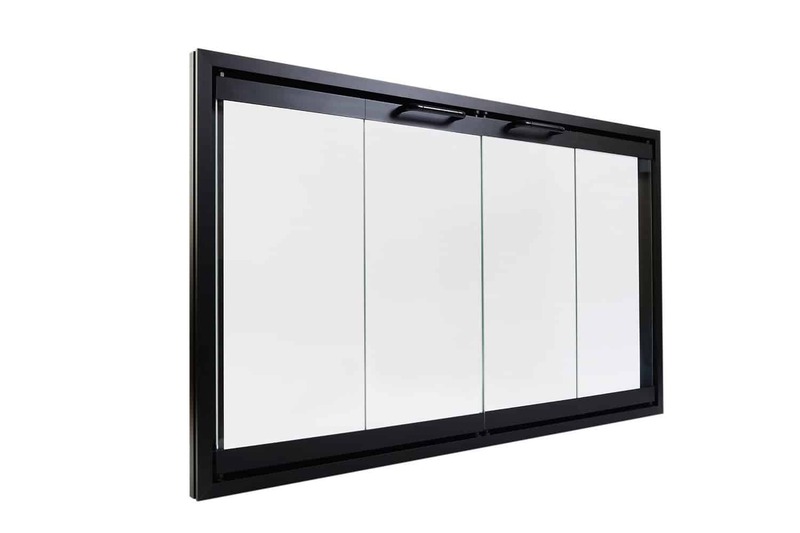 These screens are conversation starters, like a piece of art. They come in a wide variety of materials, styles, and textures. 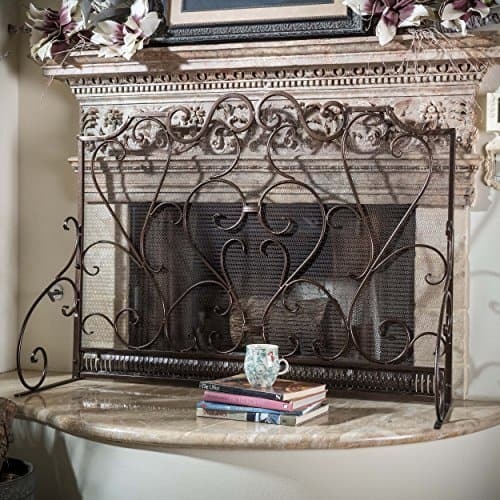 It is easy to enhance the look of an old fireplace just by replacing or adding a fireplace screen. 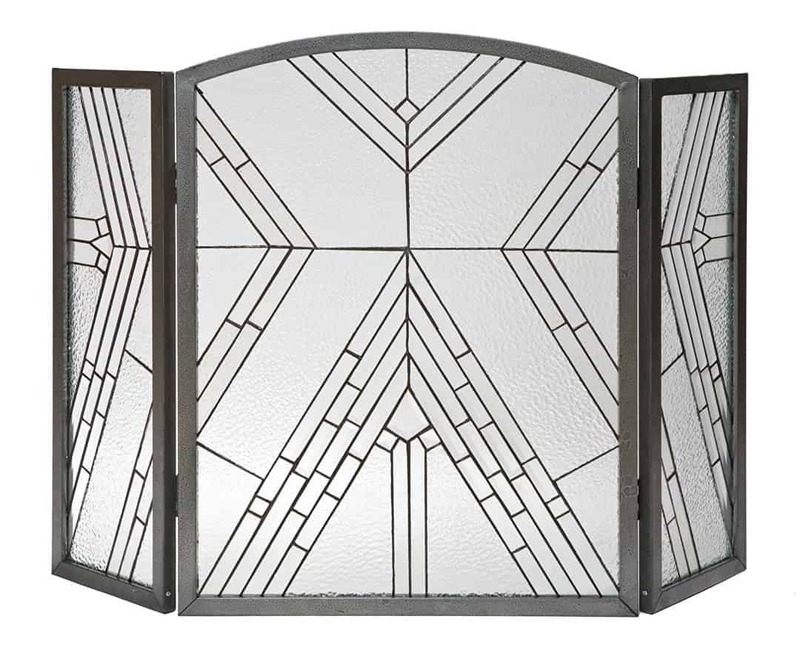 For an instant makeover that will not break the bank, you can choose from the best fireplace screens below. 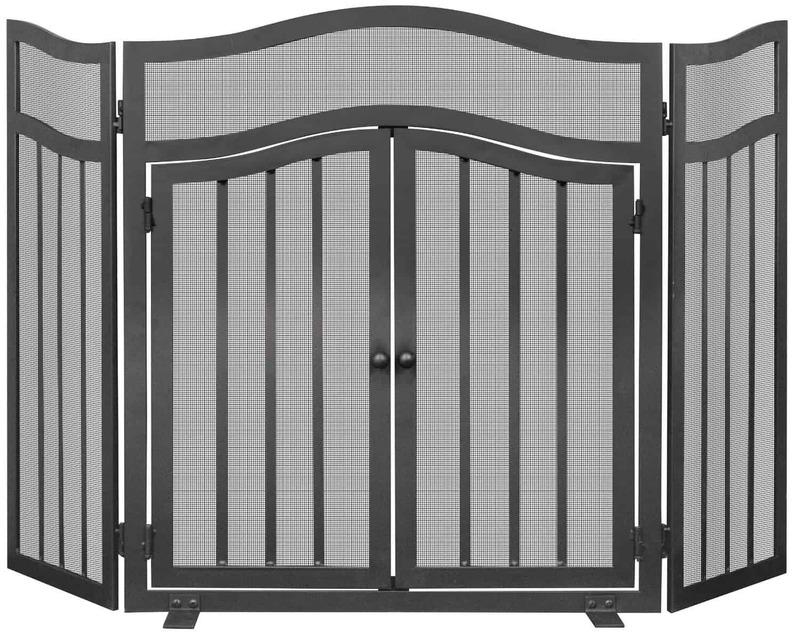 Built-in iron doors are perfect for homes that have pets and little kids running around. 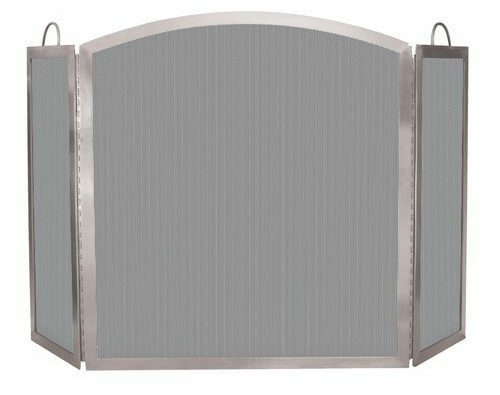 The sturdiness of this fireplace screen guarantees that it will not give in to forces exerted such as pushing, pulling and light hammering. 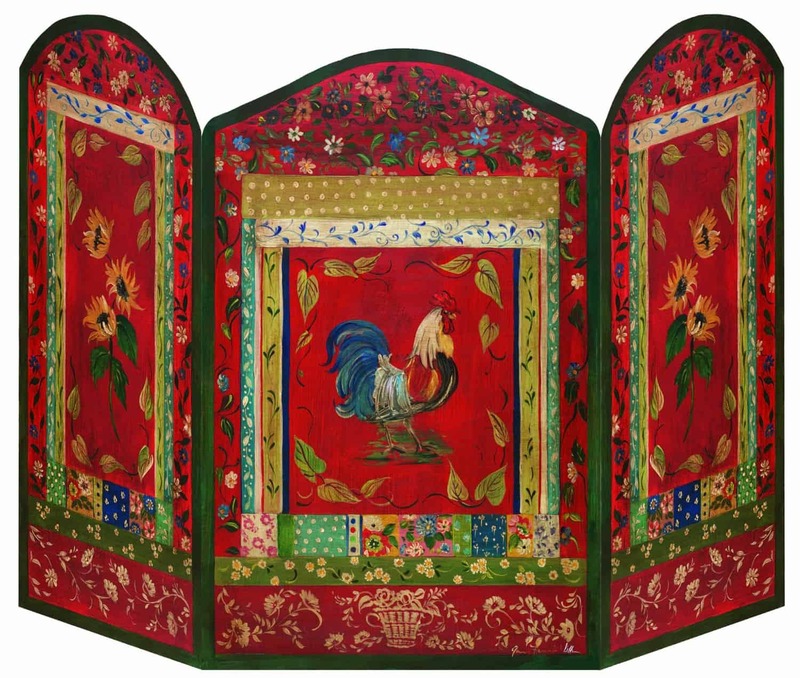 Their decorative hinges will surely get noticed by guests. 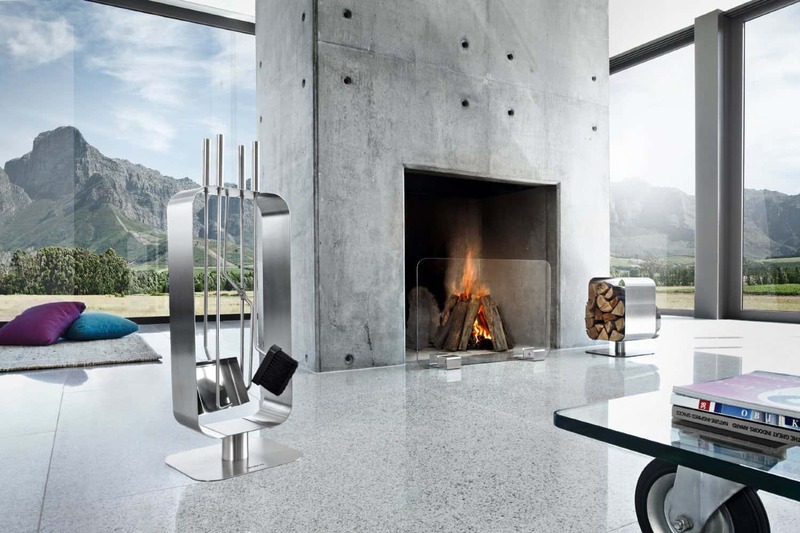 A freestanding fireplace screen made of Stainless Steel, with an appearance of polished chrome, can instantly create an elegant vibe in an otherwise simple room. 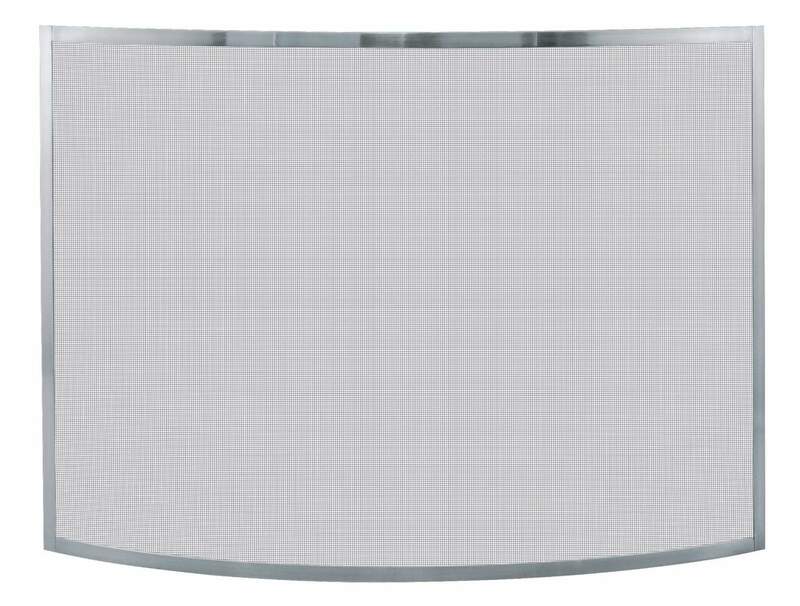 Even interiors with striking accessories can benefit from this kind of screen because it blends well with any type of décor. 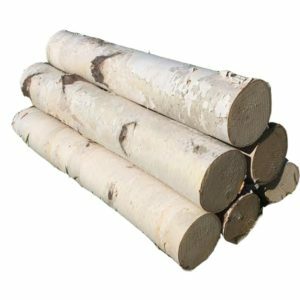 Add birch logs to the chrome-screened fireplace and you will greatly enhance its look. 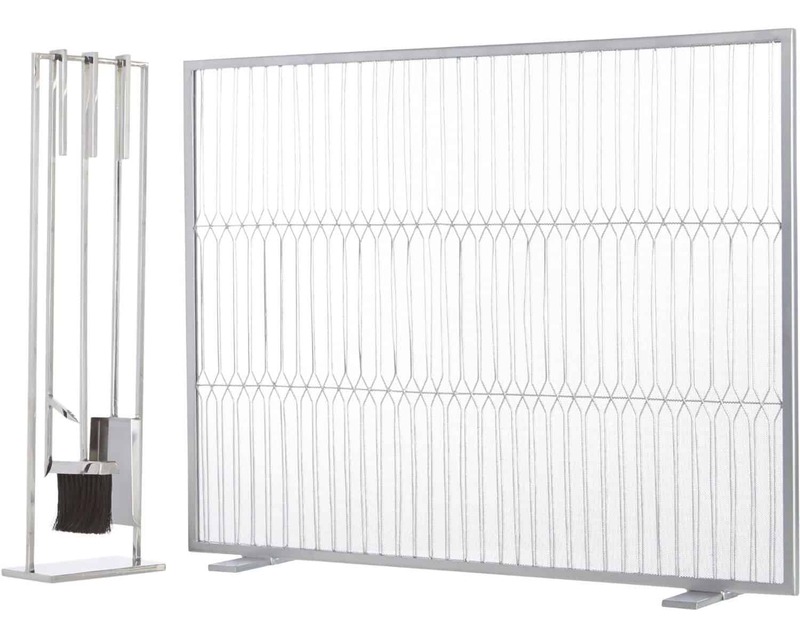 Do you want to add security to your fireplace without blocking the entire view? 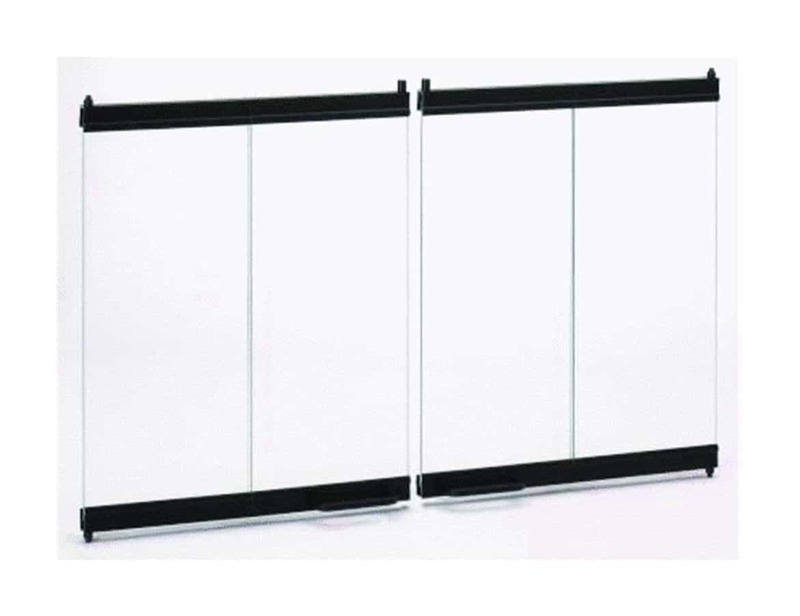 If yes, then a clear fireplace screen will work well for your home. Stone and glass create a timeless mix. Glass requires regular cleaning, but nothing will compare to its beauty. 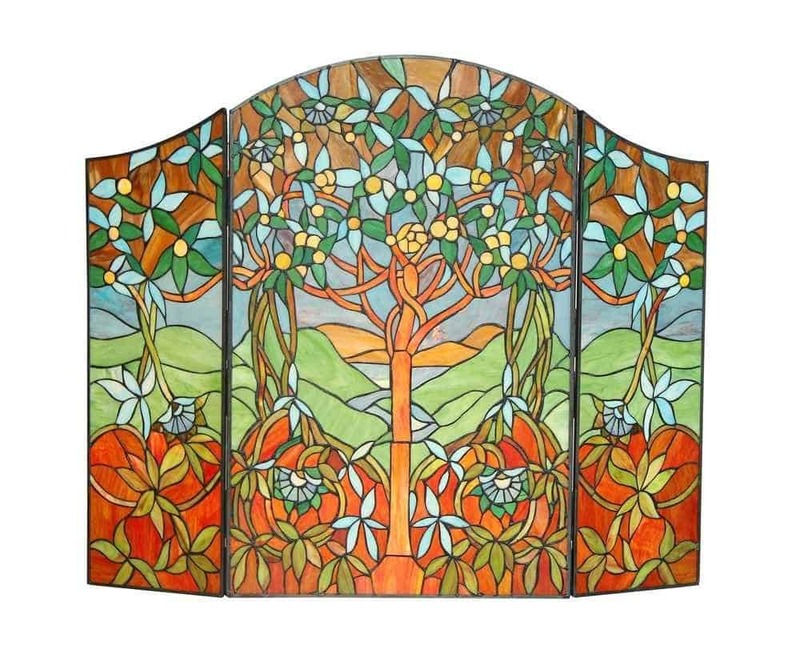 For an artistic interior, custom-designed a decorative fireplace screen will do the trick. It will show everyone your creative and unique style. 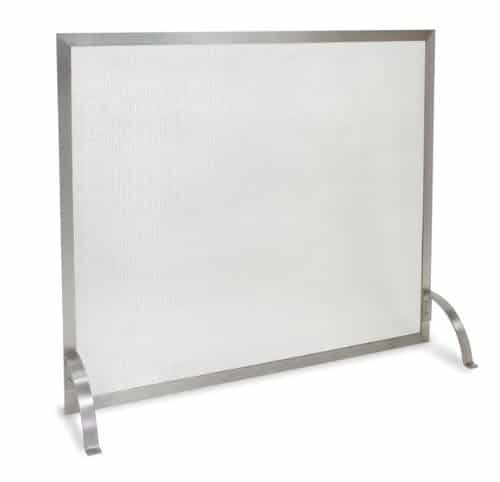 Keep in mind when opting for metal fireplace screens, that they can be dangerous. 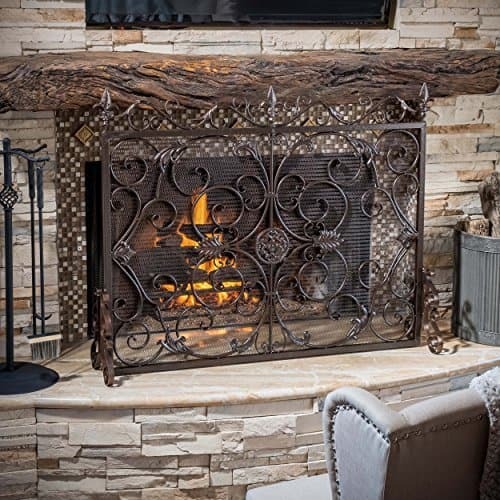 It looks super cool, but it will become hot to the touch when the fireplace is in use. 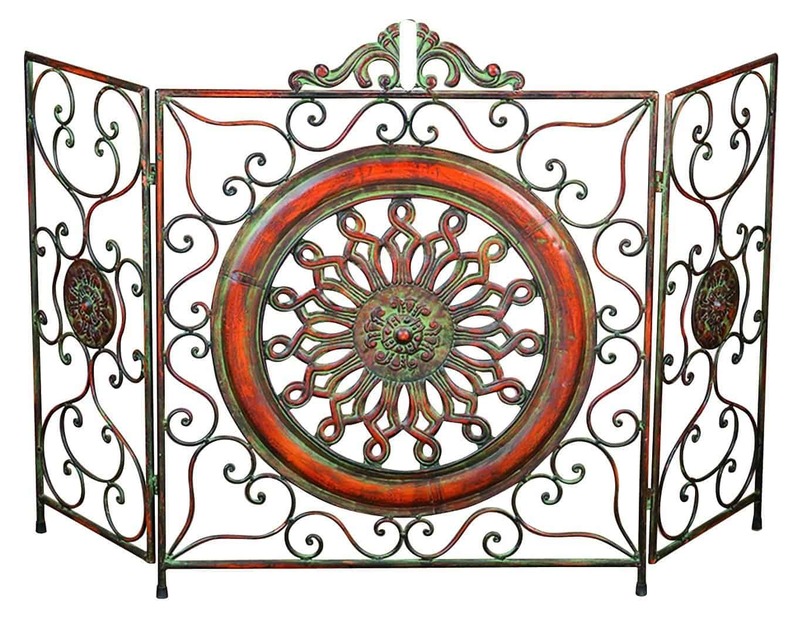 An ornate fireplace screen usually looks good in traditional interiors. 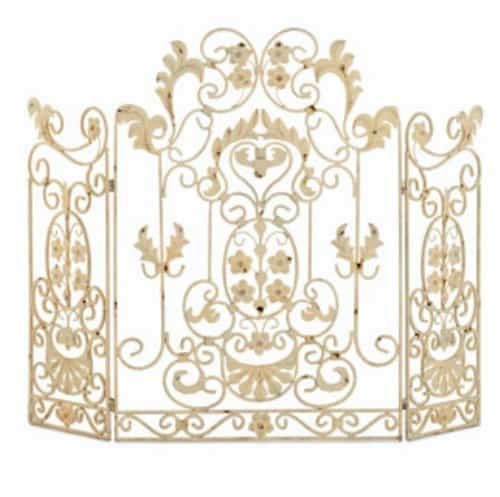 Even so, an ornate screen with scalloped corners and decorative surface will make your fireplace look like it belongs to the royal family. 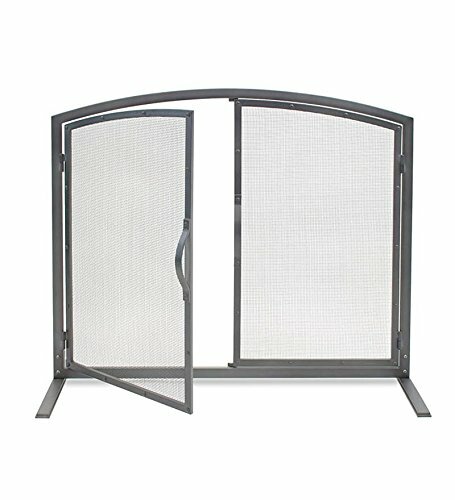 Why do you need a Fireplace Screen? 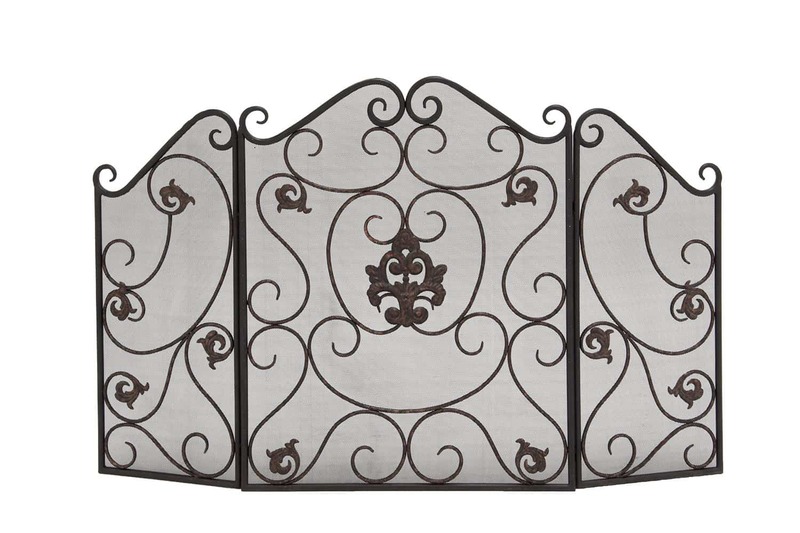 Did you know that decorative fireplace screens are more than beautiful and intricate fireplace accessories? 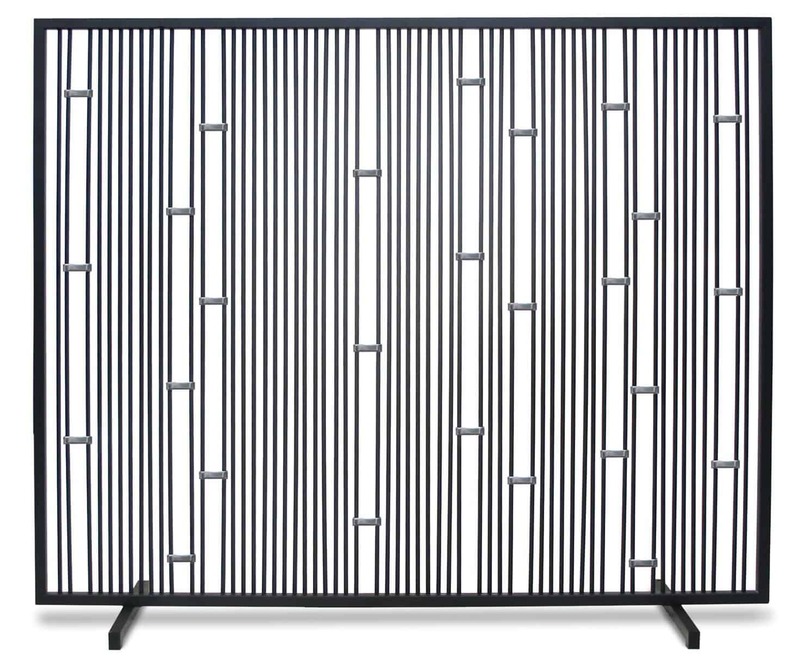 If you have a fireplace at home, chances are you also have a fireplace screen. 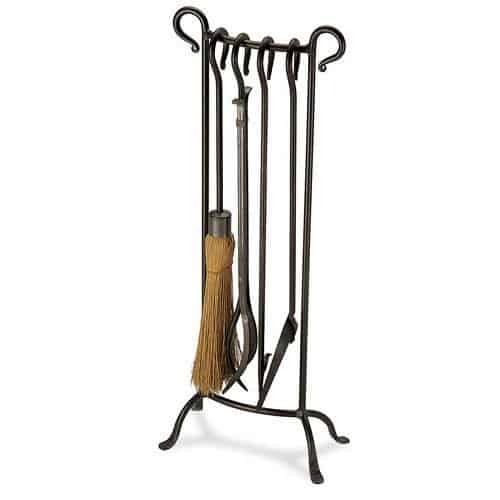 It decorates your fireplace and covers it when it’s not in use. 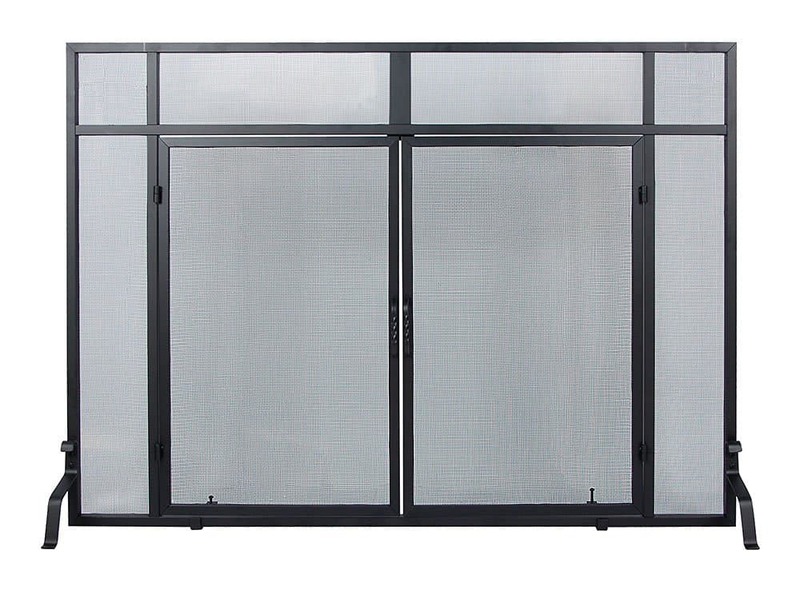 They act as protective barriers to keep embers and flaming materials from burning down your house! Sometimes we forget to keep the fire down. It continues blazing for a few moments and embers or wood pieces fly out. They have the potential to set fire to the first thing they touch! Carpets, seats, wooden décor and other items near the fireplace are at risk of burning. 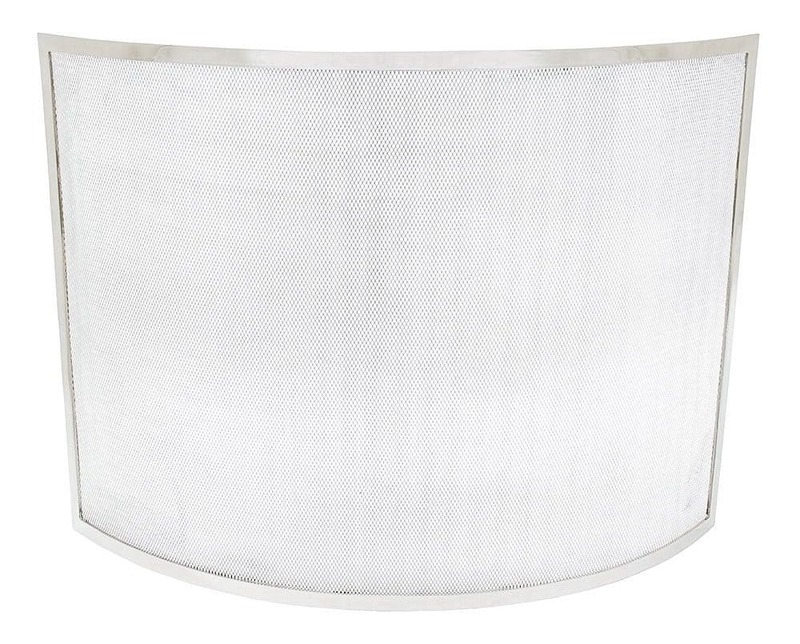 Even you, your family, or friends are at risk of getting burned without the proper protection. This is why we need proper fireplace screens. 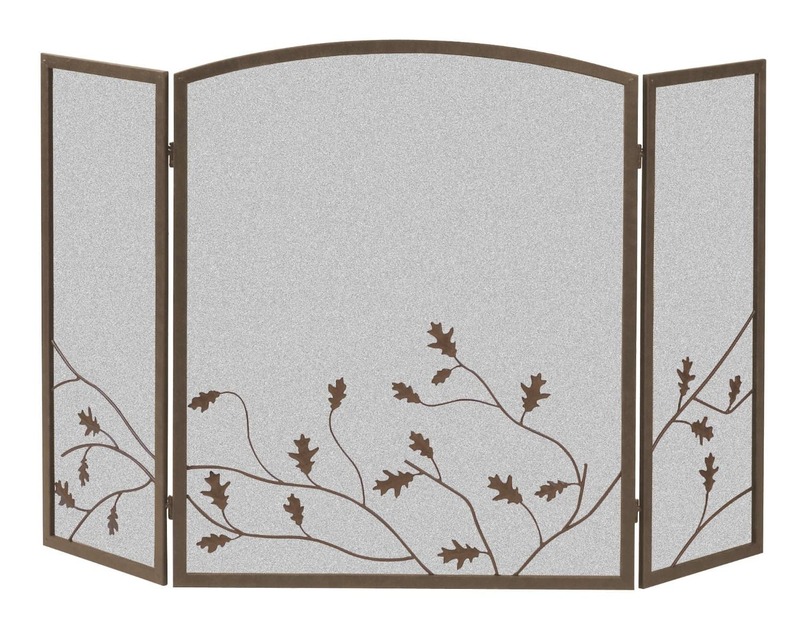 Fireplace screens are not just eye candy for guests. 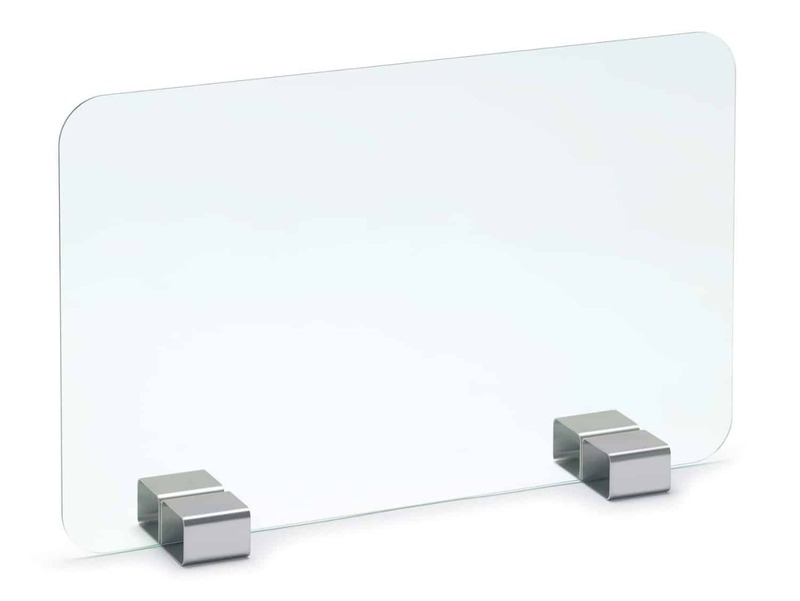 They also play a huge role in keeping dust particles from scattering inside the home. 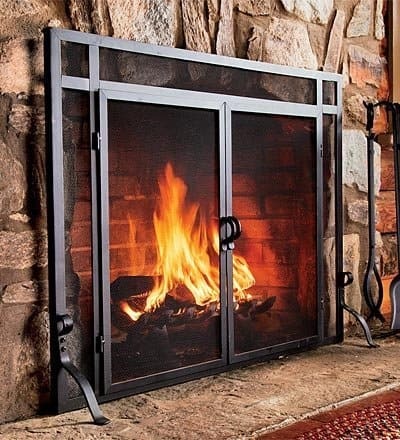 Fireplace screens made of wrought iron or aluminum are able to reduce pollution inside the home without reducing the amount of heat that a fireplace produces. This is a very important accessory for homes which have family members with allergies and asthma. Smoke is not just a health hazard, it can make the room stuffy. Smoke can also make the carpet, sofas, covers, curtains and mats dirty. 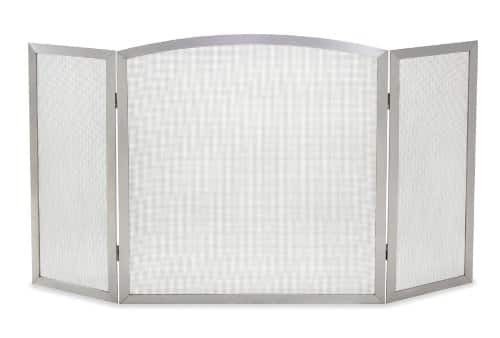 Decorative fireplace screens will work well for keeping smoke out of your clean home! 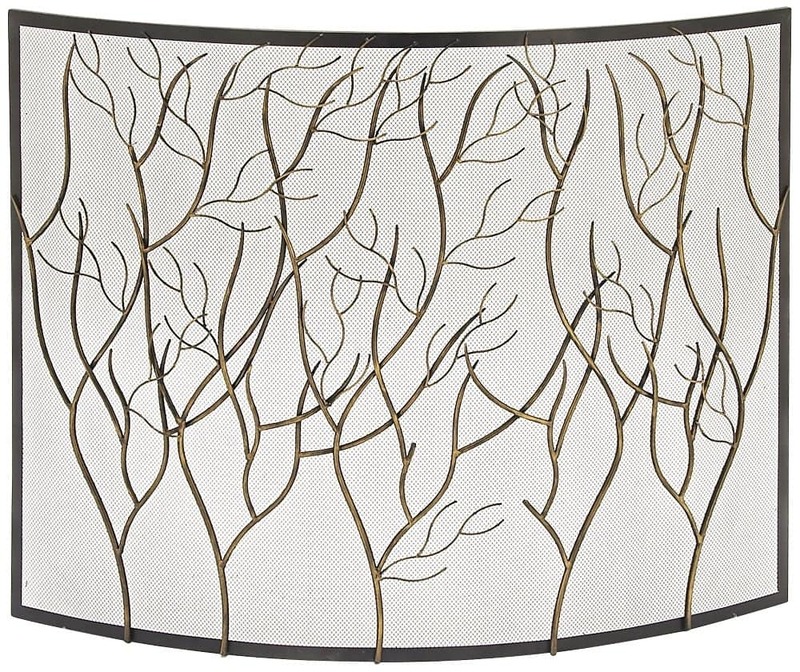 Decorative fireplace screens make great focal points in any room. 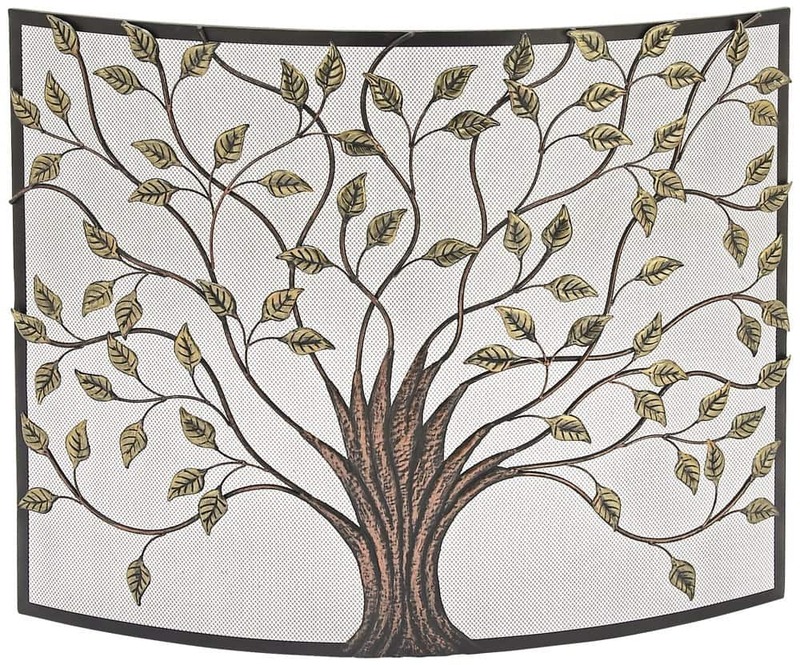 These also improve the value of your home by making it look stylish. 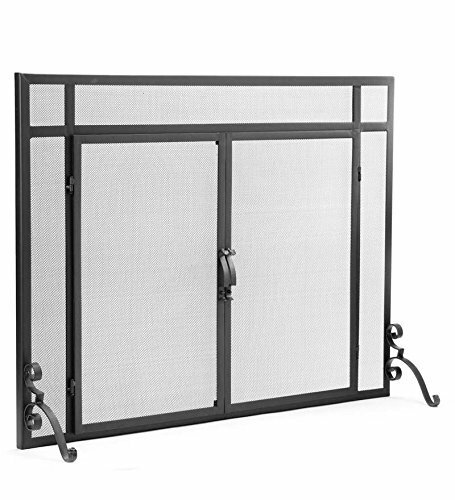 A fireplace screen should not only serve as a security feature to your fireplace. 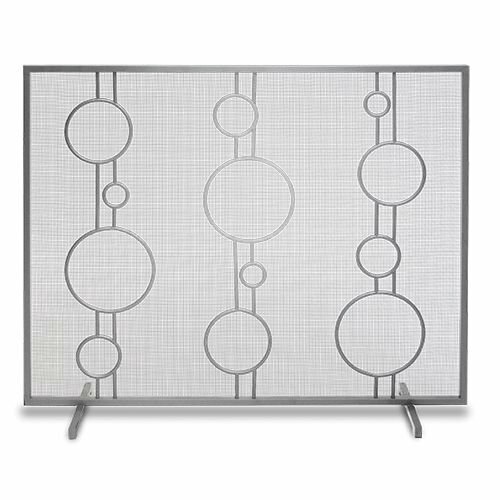 Decorative fireplace screens should be part of your home’s fireplace design. Doing so will turn it into a beautiful focal point. 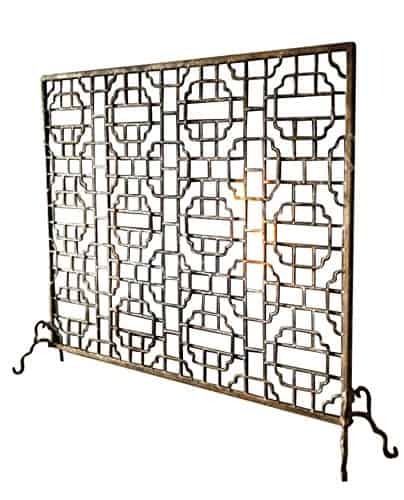 Even without the fire burning, it can still become an interesting part of any room if you choose the right piece. 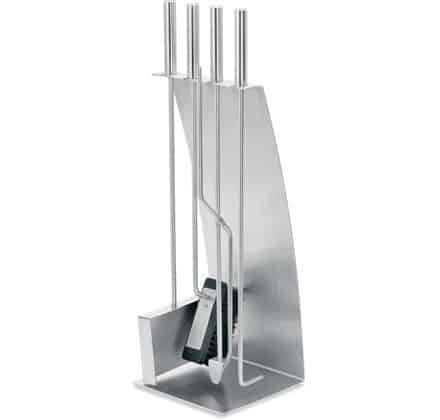 I love all the modern options for fireplace accessories. When I was researching this article, I was surprised how nice (and expensive) some of them were. 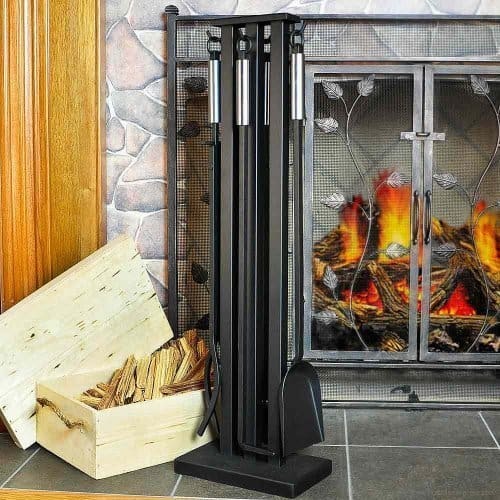 All the fireplace screens and tool sets pictured here can be bought over at Amazon!